A woman stopped in the booth last Sunday to tell me she had my wolf. Specifically, a pit-fired wolf mask I'd had in the sales gallery at Maude Kerns Art Center last year. She'd loved it, and coveted it, and was so glad the Center let her put it on layaway, while she saved up to pay for it. It now had pride of place on her wall. As she told me hard she'd worked for it, and how much it meant to her, we both got a little misty. I wound up coming out of the booth and giving her a hug, telling her how happy I was that it had found a home with someone to whom it meant so much. Put me in mind of a few weeks back, when a different woman asked me if I had the rabbits cookie jar on the shelf (medium sized) in a larger version. I had to tell her I did not, whereupon she asked if this one was big enough to hold cremation remains. As it happens, I know the answer to this one, as both my mother-in-law and father-in-law's ashes are in jars of this size. So I told her yes, and she told me her partner had been a long time Market member, and this was totally his sense of humor and whimsy and I said "Do you mean Richard?" because Richard Hunt was a jeweler for over 30 years at the Market, who I was on smile-and-hello terms with, and this sentence is totally getting out of hand, but I'm still a little verklempt to know that he's spending his afterlife with my bunnies. I gave her a hug, too. Also, a discount. I'm not entirely sure we ever met. I think he came to my Saturday Market booth once, visiting with friends in Eugene. It's also possible that friends in Eugene sent him that first, fateful pot without him ever visiting in person. In any event, that pot started something. The next I knew, I got a phone call from this fellow in California, who collected animal art, specifically fishing bears, and could I make a table setting for him? All the same pattern: black bear with a salmon in its mouth. I said, Sure, and that was the start of my long relationship with Paul Eilert. I made him oh-so-many bear pots over the years: that initial set, with dinner and dessert plates, soup bowls and mugs. Later, servers, toddler bowls (I added a bear cub behind the mama, in keeping with my "baby animals" theme), smaller plates, stews and dinner salads too, I think. A couple of sculpture bears sized to fit over the necks of wine bottles. The occasional order of replacements for dishes that hadn't survived his grand-kids. He once sent me a picture of his table set up for a big family gathering, with all the dishes, service wear, and carved wooden sculptures of black bears with dangling wooden salmon on chains. I saw it on my desk not that long ago; if I find it, I want to scan it and share it. I took his last order this spring--more mugs, bowls, dessert plates. Unbeknownst to me, he was building up his table service to the point that he could divide it into two complete settings for his daughters to inherit; family heirlooms, in a word. When I shipped them off to California last month, I got a phone call from his daughter, Leslie. He'd died of cancer just a week before. I'm still a little stunned. It's hard to believe I won't hear that dry, twangy voice anymore. I've taken one last commission for him, through his daughter: a set of three funerary urns in which his kids will share his ashes. I just glazed them yesterday. Fishing bear pattern, of course. I grew up around nuns. Heck, my aunt was a nun. My parish church didn't have a parochial school, but they'd bring a group of Franciscans every year to teach summer school. (Vacation Bible School, in my wife's Lutheran tradition.) Nuns wore black and white habits, veils, sometimes a full wimple. Their first name was always "Mary," last name was a saint's. You didn't talk to them about normal things. They weren't humorless, exactly, but their humor had a restrained, reverent air. Then I went away to college at Viterbo. I didn't meet Sister Carlene on my first visit to campus. She was in Guatemala, studying native hand-weaving. When I did meet her, I was surprised by this lively, friendly woman, in every-day clothes (including jeans and a denim vest), who everyone just called "Carlene." I didn't have her for many classes--she taught fibers and art education, neither of which was my field, though I did enjoy her in art appreciation. She was always enthusiastic and encouraging of my work, though, and I think it was probably her idea to offer me a chance to teach art history after I graduated and Tim Crane went on sabbatical. She was a devoted teacher, and a dedicated artist, producing beautiful weavings, functional and artistic. Later in life she took up icon writing (not painting. Icons are an instructional medium, and as such are written.) After I moved to Oregon for grad school, I always enjoyed catching up with her on my visits back to La Crosse. After Denise and I were married, we were both welcome in her little apartment on Mississippi Street. She was proud that I'd become a full-time artist, and always enjoyed seeing pictures of my latest work. We haven't been to La Crosse for quite a while now; family commitments took us to Milwaukee, Minneapolis, up to Willard. 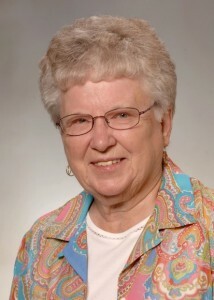 So I missed her last few years at Villa St. Joseph, and I missed her funeral at St. Rose Chapel. I miss her now. I suspect, wherever she is now, she's learning some new technique, and eagerly teaching it to anyone who's listening. This is Denise's mother, Mary Desens, sometime around 1993. She was perennially cheerful, methodical and organized, energetic. She struggled with arthritis most of her life, but still exercised regularly in the warm water pool at the Y, attended Bible studies and Sunday services at Church, visited her hairdresser, Kathy, twice a week. Living alone at age 84, she had systems in place for her safety: a phone at the bottom of the basement stairs, with the neighbor's phone numbers next to it. A desk chair to read in while doing laundry, so she only had to traverse the stairs once, backwards so she could rest the basket on each step. After a lifetime of backing down their long driveway, she saw me doing a Y-turn with the rental car to go down frontwards and immediately adopted the technique. A seamstress for years, until her arthritis interfered, she appreciated and supported me in my pottery craft. She hated cooking, lived on frozen dinners, fruit and Ensure. And baked goods; "tea and treats" was a daily afternoon ritual. She loved it when we came to visit, and I loved cooking for her. I tried to make some simple, manageable dishes that she could try, and she did, a few. She liked apple pie, so I mailed her one for her birthday in September, made two more when we visited in October, one the night before we left that she could share with her Bible group. Though she initially felt tied down by the house after her husband Del died, as Denise and I continued to clear out the basement and help her organize the ground floor, she felt better able to manage it. She looked at assisted living situations, but decided she'd rather stay at home until she couldn't anymore, or until they took her out, toes first. She died Christmas morning, fifteen months after Del. We're still shocked. She was in good health and good spirits the day before, drove to Christmas Eve service at church. She was excited to ring the bells on Christmas, a Brookfield Lutheran tradition, and then ride with her nephew Jim down to Chicago for family dinner at his brother Bill's house. It was Jim who found her in the morning when he came to get her for church. She took notes of health and habits, and so we know she got up at 12:03 am to use the bathroom, and never came back to bed. The medical examiner said it was quick and painless, and nobody could have done anything for her. Denise thinks Jesus asked, "Mary, are you ready?" and she answered "Yes." Denise and I went back the day after New Years to make arrangements; she's still there, dealing with the estate. Mary helped: she'd told her pastor what music she'd like at her funeral, and talked to me about what she wanted painted on her urn. Cardinals, from the back yard, and the grey squirrel that used to visit the birdbath by her front window. She and Del had set up a family trust nearly twenty years ago, but she made sure everything was included, everything was in order, to make things simple for her only daughter. I'm going to miss her; I'll miss the reports from the weekly phone calls to Denise, miss making her pie, miss being able to do little things that she appreciated so much. Hanging a curtain rod. Putting pavers on the front porch, to make each step shorter. Getting a new TV for her when the old Trinitron bit it, then figuring out how to connect the antenna and wiring so she could watch it. She loved the old westerns of her younger days, and had a regular date with Chuck Connors--The Rifleman--and her tea and treats. I made her a teddy bear, years ago, in blue and silver grizzly fur--her favorite colors. Boo Bear had pride of place on the sofa until just this Tuesday, when I brought her back to Oregon to be with the rest of her bear family. Didn't want her to be lonely. I think I need to go give her a hug now. The first time I met Denise's parents, I was terrified. It was the usual thing. What if they don't think I'm good enough for her? Exacerbated by a host of details. I was a farm kid from a big Catholic family. Denise was a suburban Lutheran only child. I was the first in my family to go to college, first to get a graduate degree. Both her parents are University of Wisconsin graduates. Her father was an electrical engineer, retired from years at Wisconsin Bell/Ameritech. You can just see the whole Montague/Capulet thing coming, can't you? Except it didn't. They were warm and welcoming. Del in particular was fascinated by the details of a potter's life. Part of that was an engineer's curiosity. But I think part was also the desire to have a fellow artist to talk to. Del was a photographer. Old school, 35 mm, with a black and white darkroom in the basement. He took cameras everywhere, shot people, landscapes, architecture, plants, flowers, abstract close-ups and plays of light and shadow. He also documented football games, family gatherings, photographed new members for the church directory. He was fascinated with gizmos, bought a radio-controlled remote shutter trigger so he could take pictures at our wedding from his vest pocket. 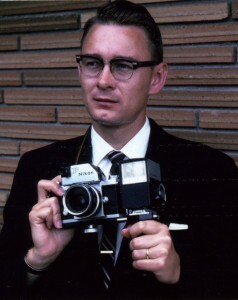 But he never went digital, remained committed to film even after he relegated developing and printing to the photo-processors, and though he bought a computer, he never really learned to use it. He enjoyed going to art museums and gallery openings. I was lucky enough to join him a couple of times when we were visiting, and would have probably done so a lot more if we'd lived closer. He also loved visiting my studio when they came out to Oregon. He was fascinated by my sculptural process, asked many questions and took many pictures. He also took my pottery seriously, praising the quality of the painting, the engineering of the handles. 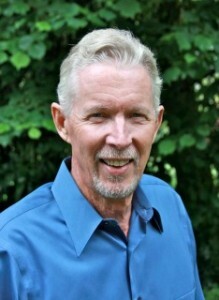 Del died on September 25; Denise was with him at the end. He was 84. I'll miss him. I'll miss his matter-of-fact acceptance, his dry sense of humor, the way he'd say "I didn't like it" as he handed his licked-clean plate to the waitress. I'll probably even miss the way he'd give directions to a task or trip down to the molecular level, which used to drive me crazy. I don't have many pictures of Del; he was usually on the other side of the lens. But a large part of my life in the last 25 years bears the imprint of his perspective. Rest in peace, Del. I expect you're checking out the camera angles and arguing shutter speed in the afterlife. Been thinking about Will Mattox today. He's responsible, as much as anyone on this random walk my life's taken, for the fact that I'm a potter today. You see, I thought I was going to be a professor. 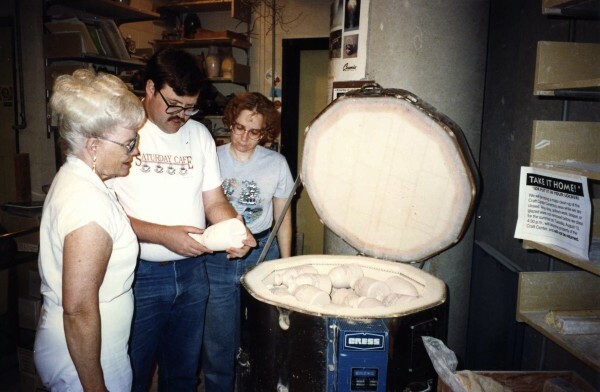 I'd been a hobby potter after college--bought a used wheel and electric kiln, traded glaze mixing and recycling for studio time and gas firing at Viterbo. Ceramics rapidly took over all my attention and all my free time. Eventually, when my day job--graphic artist at a printing company--started getting in the way of my hobby, I decided it had to go. I applied to graduate schools for ceramics, was eventually accepted to the University of Oregon. I planned to get my MFA and teach, like my professor before me, like pretty much every other potter I knew in Wisconsin. I didn't know there was any other option. And I did teach, for 10 years, part-time as resident potter at the UO Craft Center. I sent out a zillion résumés and slide sheets, applied for teaching positions all over the country. I even interviewed for a couple of jobs, flew out to Nebraska for one. But full-time teaching remained elusive. And a part-time salary just didn't cut it. So I washed dishes. Answered phones during Christmas rush for Harry and David. Then a former student of mine, Becky Bruecker, introduced me to Will. 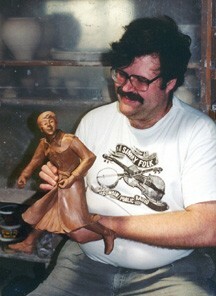 He had a studio, Slippery Bank Pottery, out in the woods west of Junction City. Five employees, all women, who slip cast and loaded kilns and glazed for him. He did the designs, the throwing, and decorating the more elaborate patterns. Sold retail at craft fairs, wholesale as well. He'd just signed a deal with a mail-order catalog to supply hummingbird feeders, and the demand was more than he could handle solo, so he needed someone to throw for him. Becky had done a few, but didn't enjoy the work, or the volume, so she recommended me. There's something to be said for on-the-job training. Will paid 75¢ for feeders good enough to sell at home, 90¢ for catalog-ready. I very quickly got them all to first quality. Then I learned how to scribe and inlay the hummingbird pattern and deliver them bisqued, doubling the price to $1.80. Then I learned to throw them fast enough to leave time for my own work--and teaching--as well. Nine dozen hummingbird feeders a week was about what I needed to make up the gap between my bills and my Craft Center salary. When he had enough hummingbird feeders, I made mugs. French butter dishes, egg separators, mini-pies, spoon rests. I designed and threw a new form for holding margarine tubs, and spent a winter recasting all his plaster casserole molds. Then, at the end of December 1992, he laid me off. The back room at Slippery Bank was full of bisque. Every 2-lb. and under pot in his line was well-stocked. I could have kept working if I was willing to drive out to Cheshire and throw plates, but I couldn't see doing that. Instead, I spent the rest of the winter working on my own pots, and in April 1993, opened Off Center Ceramics. So I owe a lot to Will. While I learned to throw at Viterbo, I learned to be fast, efficient and consistent working for him. But I learned more. When I got out of college, pottery was a hobby. In grad school, it became a discipline. Will taught me it could be a business. I didn't follow in his footsteps. A lot of my early pots were in reaction to his work as much as influenced by it. I learned a bunch about being professional from him, but even more making my own mistakes with Market, with galleries, craft fairs. When Will retired from pottery in the mid-1990s, he tried to interest me in buying Slippery Bank, but I didn't want to go that direction. I'm still a one-man shop. But I don't think I'd be supporting myself with ceramics at all if it hadn't been for his example. Tomorrow would have been Will's 65th birthday; he died of cancer November 6. Oddly enough, I don't have any of his pots; just a ton of memories.